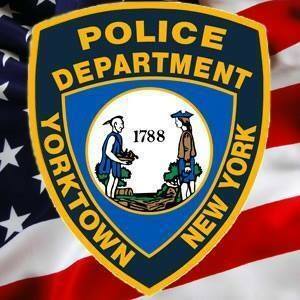 Yorktown Police report the arrest of Christin Hicks, a thirty six year old female from Ridgefield, Connecticut who is charged with Driving While Intoxicated, a Misdemeanor, Aggravated Driving While Intoxicated - driving with a BAC of .18 or greater, a Misdemeanor, failing to signal and less than two headlamps, both traffic violations. On February 2, 2019 at approximately 2:30 AM P.O. Mullen conducted a vehicle and traffic stop on Route 6 at Mill Street for a vehicle that had allegedly failed to signal a lane change and had less than two headlamps. Investigation at the scene identified the female operator as the defendant by her Connecticut drivers license. Further investigation also alleges that the defendant was Driving While Intoxicated. The defendant was arrested at the scene for Driving While Intoxicated and transported to Yorktown Police Department for processing. Once at Yorktown Police Department the defendant was additionally charged with Aggravated Driving While Intoxicated - driving with a BAC of .18 or greater. The defendant was processed at police headquarters on the above charges, posted $100 cash bail and was released to a family member. The defendant is due to appear in Yorktown Justice Court on February 14, 2019 at 6:00 PM to answer the charges.